Every morning I take a walk after breakfast. And another after lunch. And often a third before dinner. My guesthouse is a block from the Siem Reap River with its trees and water and bridges, and walking along this river is the centerpiece of each walk, the place where I go for exercise, observing, and all the other simple pleasures of walking. Lately I've been carrying my camera. Taking snapshots is a way of collecting moments so I can later reference them in writing. All of it is accidental, never-before-seen, a small voyage of discovery. 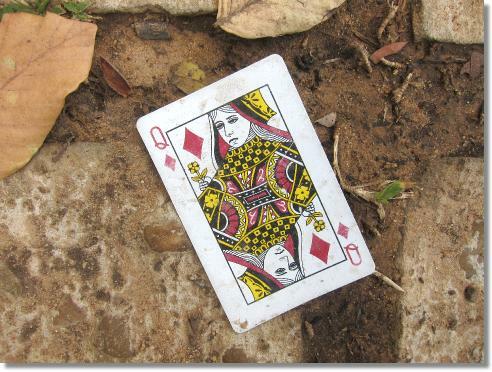 An on-line query reveals that the Queen of Diamonds is the card of wealth and philanthropy. I found one under my feet this morning at the intersection of Pokambor Avenue and an unnamed footbridge. I left it there, but later discovered it again and took its picture. Maybe a gambler lost it from his deck and now no longer has a card of wealth? What is the wealth of Cambodia in terms of enriching presence? 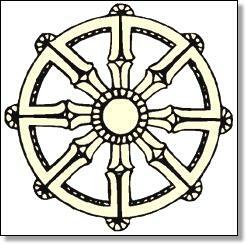 It is heat, greenery, an atmosphere of ease, shimmering rice fields, the bounty of water, bodhi trees. This imagined beauty coalesces on the banks of the Siem Reap River, greatly under assault from litter, trash and the sewage that seeps into it. It's hardly moving now in the dry season. Sections of it smell of the raw sewage that pours into it. Small boys fish in it. The sunlight reflects off of it in an opaque but mesmerizing green, belying the condition of the water below. Trees line it, thankfully. Shade and the magic of the water element - no matter how under siege - combine to make this walk a semi-paradise compared to all the other streets in Siem Reap. I am grateful to be here. Yesterday, near where I found the playing card, I picked up the shell of an aquatic snail, carried it home, washed it and put it on my shine. I'm assembling natural objects for an online shamanism class a friend of mine is teaching. I somehow trusted this lowly object belonged with me and went on-line to see what people had to say about snails as totem objects. These included: the steady progress observed in the "snail's pace" of this creature's movement; an expanding consciousness represented by Fibonacci spiral of a snail's shell; and an uncommon sensory perception derived from the acute sensitivity of a snail's body. Having emerged from the most difficult year of my life, 2014, I can relate to the need for steady progress, and well as all the other beautiful symbolism found associated with this lowly creature, including another aspect of snail symbolism: new beginnings. The snail emerges early in spring and so carries with it the new, and I feel this quality very strongly in this new year, 2015. (I hope you do, too). Low on the food chain and doing menial work - eating algae and dead fish or rotting leaves - snails occupy a similar hierarchal niche with the street sweepers I deem heroes of Cambodia. These workers, almost entirely women, sweep and pick up everything from fallen leaves to styrofoam cups, broken beer bottles and rotting food, all the abundant discards that quickly litter the streets of urban srok Khmai. If it wasn't for these woman, small of frame, spectral figures clothed in green jackets and donning wide-brimmed hats and scarves across their mouths, they work silently, tirelessly, anonymously. They maintain the most basic infrastructure we have, the paths, sidewalks and streets of the city, curiously essential and yet unnecessary (if there was no littering). No one sees them, really, or asks their opinion, or smiles in their direction. The photograph below shows a spirit shrine. I pass it every day on my walk. Unlike Thailand, with an endless assortment of uniquely fashioned shrines, the Cambodian spirit shrines are largely identical (except for size): cast plaster typically painted gold and often without any objects - save incense and a water offering - inside them, as if they are an afterthought, a still limp attempt to revive traditional spiritual customs after the Khmer Rouge era, a time when Buddhism was destroyed and people even lost faith in the spirit world. If there was a spirit world, how did the supernatural forces allow the monstrous Khmer Rouge to come to power? 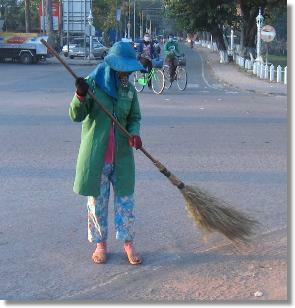 Or perhaps the traditional Cambodian spirit shine was always uniform and simple? The spirit shrine stands in front of a bodhi tree, quintessential symbol of the Buddha's enlightenment and most astonishing of trees - at least in terms of its trunk, a twisting mass of seemingly individual branches, baroque and mysterious. 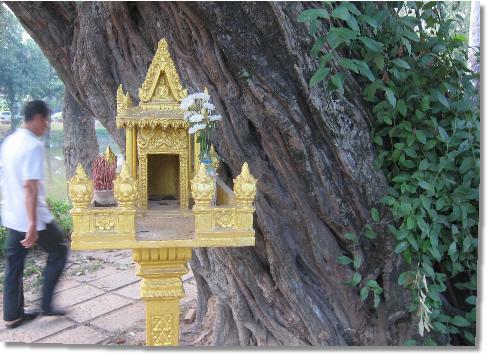 The bodhi tree is a "world tree" of all trees, conveyer of vertical time, and there are many along the banks of the Siem Reap River. A man walks beside the tree, his movement blurred by the camera and so he, too, appears spectral; a fleeting figure on a walk. Passing this tree, perhaps not even noticing it, perhaps never to return. A comrade in the life-situation we all share in. Durian, Food of the Future?